Okay, next time someone asks me to make something for their wedding, I may well say no. I have been paralysed with nerves about this for *months*. 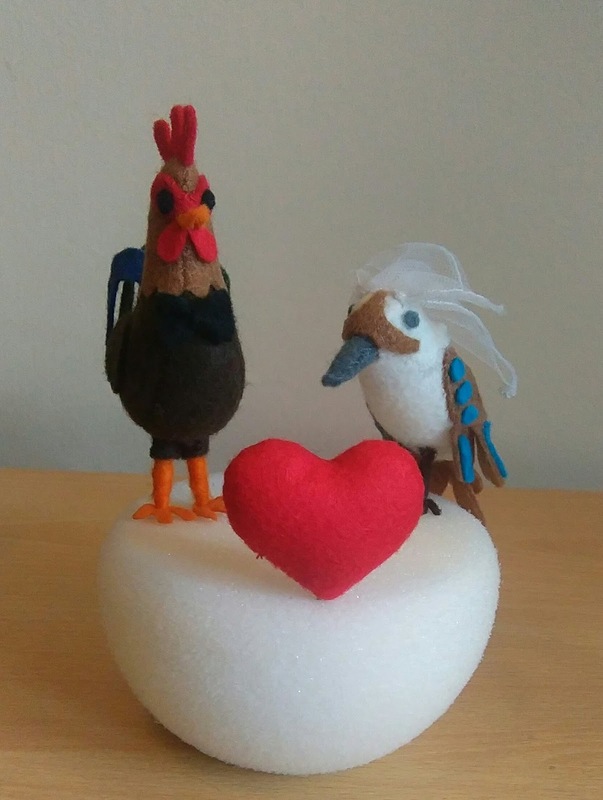 It wasn't that hard to do in reality, but I kept thinking "I can't make a wedding cake topper out of felt, it is so... rustic! 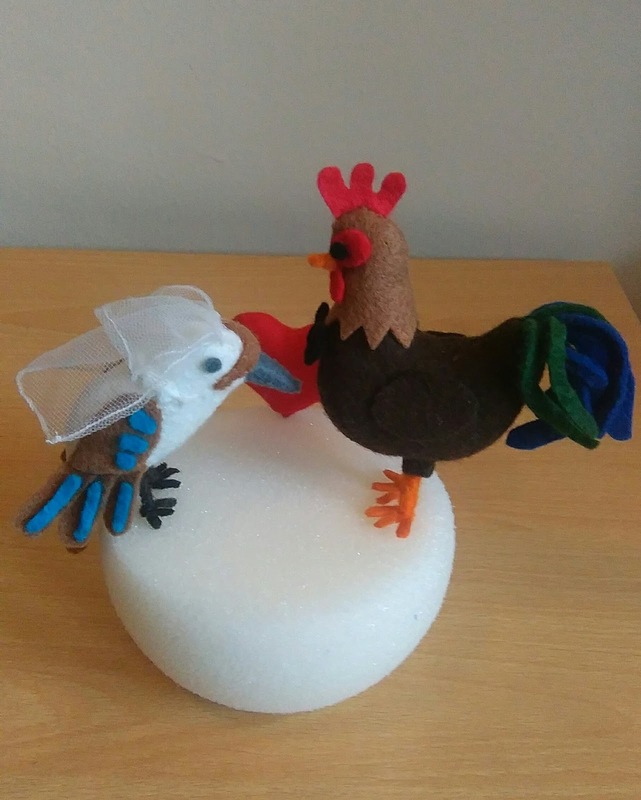 This is someone's *wedding*!" 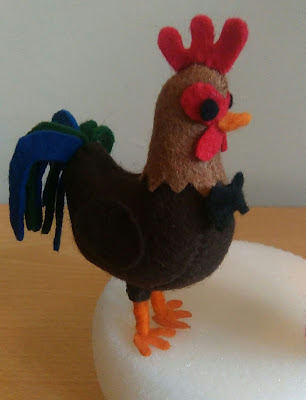 So I have made this cockerel about 7 times, in felt, a variety of nice materials and wet felted (ah, the hours I spent felting feathers with chaffed palms) But on the plus side I really honed the shape each time. The kookaburra, in comparison, was made only about 5 times. And the heart, I worked out on the first try! My specs included: can the kookaburra have a veil if it doesn't look too silly? 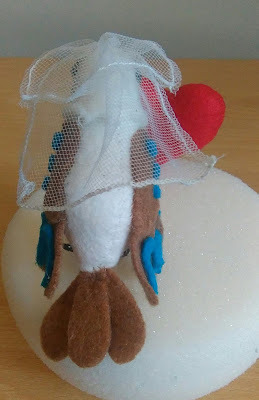 (Too silly is not in my vocabulary, as I am sure you can imagine if you have read my blog much) I thought, why should the kookaburra be the only one who gets to dress up, so he has a spiffing little bow tie. 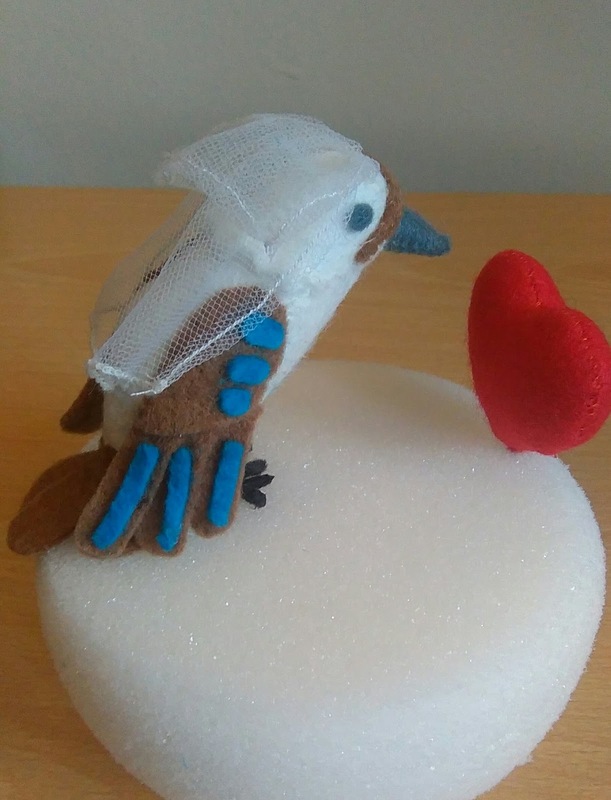 I actually gave her a little ruff of feathers around the neck which was quite hard to do considering the veil pretty much hides it. 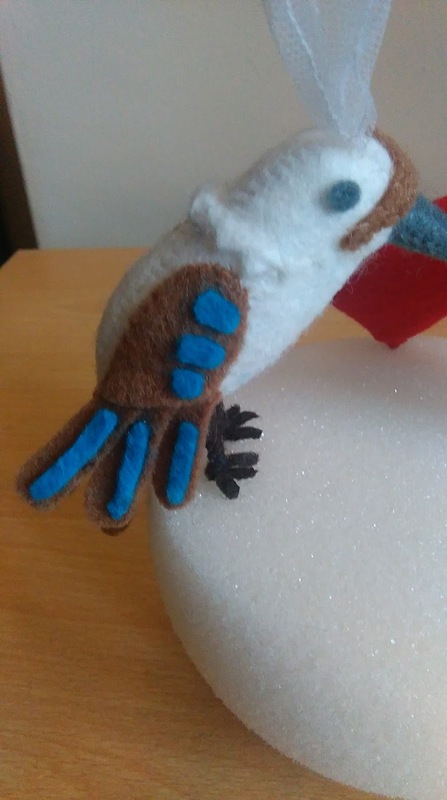 *I* know they are there though!